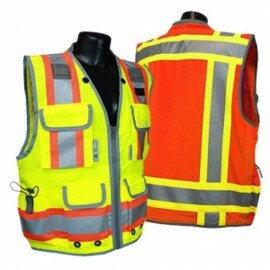 We carry reflective safety vests that are suitable for day and night environments that require ANSI high visibility clothing. 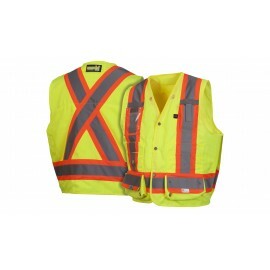 Our reflective vest selection reflects the required vests in construction sites, airports, emergency response situations, law enforcement operations, utility crews operations, survey crews, railroad workers – anywhere workers are exposed to traffic and need the high visibility protection of a reflective safety vest. 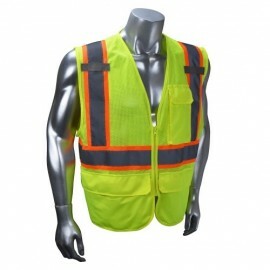 Having the right vest for your job helps reduce jobsite injuries. 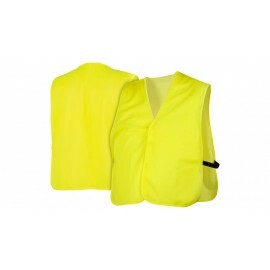 Our Vest selection includes orange, green, lime and yellow vests that are ANSI Vest rated. 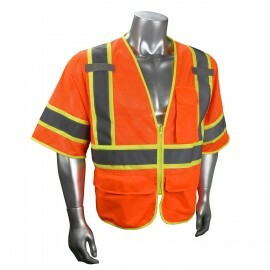 What do ANSI ratings mean? 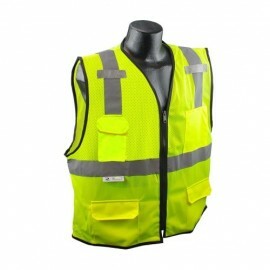 These vests must be brightly colored and have retro-reflective materials at least 25mm in width. 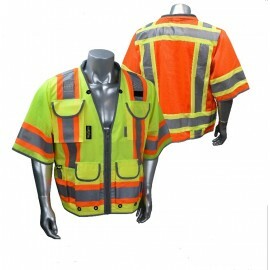 ANSI Class 1 clothing is required when working near traffic traveling less than 25mph. 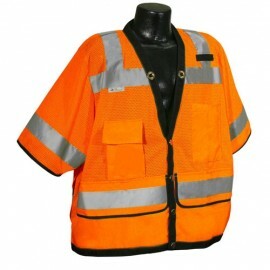 Some occupations that typically require Class 1 clothing are parking garage attendant, shopping cart retriever, and valet. 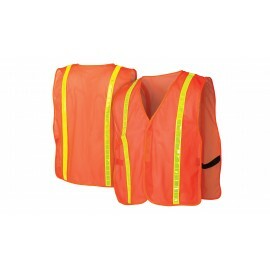 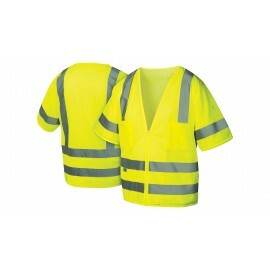 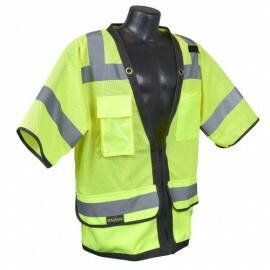 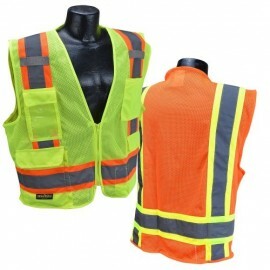 These reflective safety vests must be brightly colored and have retro-reflective materials at least 35mm in width. 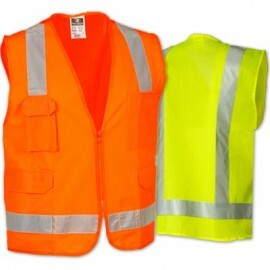 ANSI Class 2 vests are for people who work near traffic that exceeds 25 mph, such as crossing guards, airport ground crews, and railway workers. 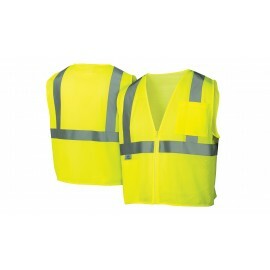 ANSI Class 3 vests have the most conspicuity, with bright colors, sleeves, and must have retro-reflective material at least 35mm in width and extends from the shoulder to the elbow. 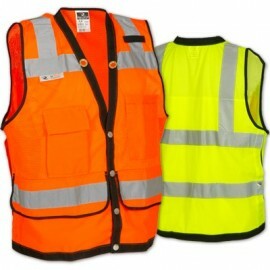 Class 3 vests are approved for use near traffic that exceeds 50mph. 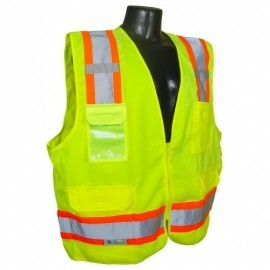 For more information on ANSI ratings, check out these articles at our Resource Center and our Safety Store blog.